Can You Please Recommend Crystals For Adrenal Fatigue And Also Help With Shingles? Hi. Can you recommend a crystal for Adrenal Fatigue and also Shingles? Love your site and all you do! Thanks. Thanks so much for your questions and I am so glad that you enjoy our site. Green Aventurine and Chrysoprase are both healing for the adrenal glands. Green Aventurine will work on releasing any blockages that are contributing to the Adrenal Fatigue and Chrysoprase is healing for the heart and will help to reduce symptoms like heart palpitations. 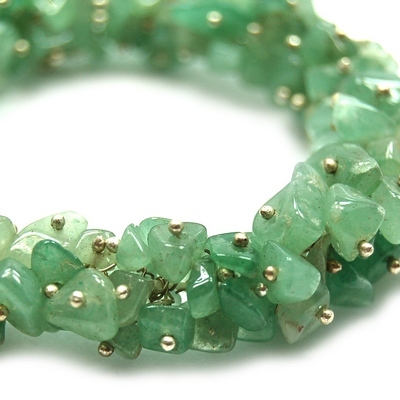 Chrysoprase will also help with healing Shingles. Blue Lace Agate and Lapis Lazuli are the two other crystals that I would recommend to heal and reduce the symptoms of Shingles. Thank you again for your question and for your support of Healing Crystals.com. I hope that I was able to help and I will look forward to hearing from you again.